The Town of Antigonish, with support from experts with WSP Canada Inc., is reviewing and updating the Municipal Planning Strategy (MPS) and the Land Use By-law (LUB). The Town is looking for feedback on priorities that will build a roadmap for Antigonish’s future growth and community development. Additional thoughts or opinions about future community development and best practice initiatives. We received your feedback and heard your ideas! Thank you for taking our community survey! WSP Inc., has developed an Engagement Report detailing the results of the public consultations from the Municipal Planning Strategy Review. pdf Click here, to view the report (1.94 MB) . The goal of the review is to modernize existing policies that will create opportunities for growth, new investment, and community development. 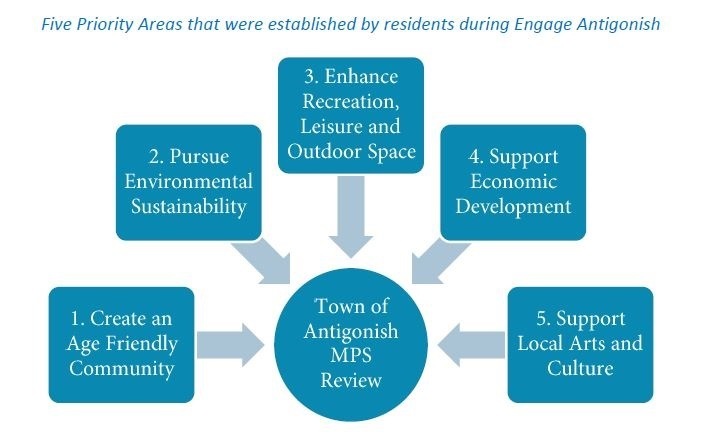 The review process will provide the Town with the strategic capacity to plan for the future, while also aligning the Town’s vision with the five priority action areas that were collectively outlined in the Engage Antigonish consultation sessions. The full report from Engage Antigonish is available here. The MPS review will serve as a vital component of the municipality’s transition into the new Eastern District Planning Commission’s (EDPC) service delivery model. 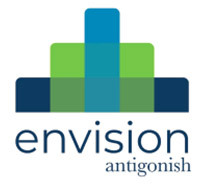 The EDPC supports Antigonish’s development of safe and healthy communities by providing planning, subdivision and building inspection services to the community.